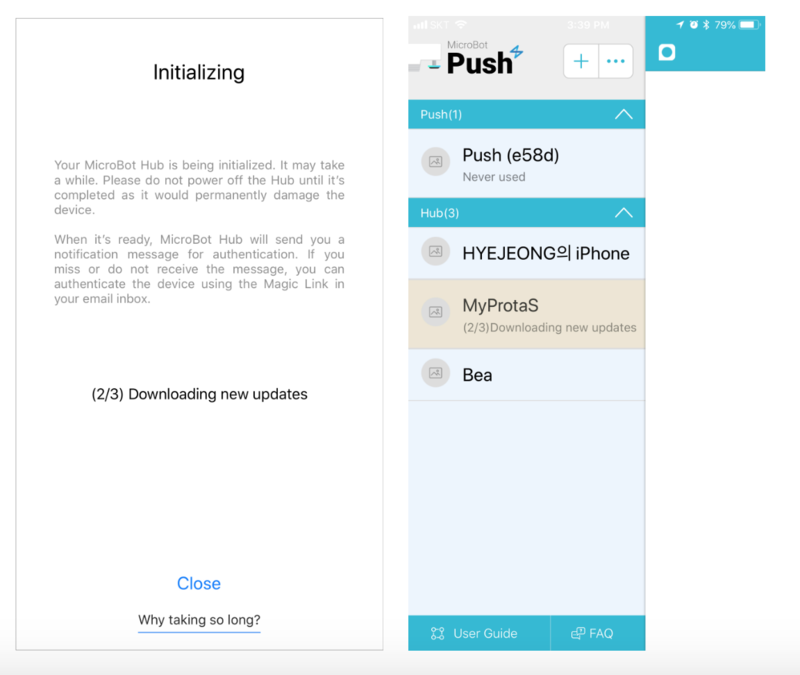 During the initialization process, the MicroBot Hub downloads the latest updates. This process usually takes up to 30 minutes. 3. Go back in the MicroBot Push app and, in the sidebar, tap on your Hub's name to resume the initialization. If after rebooting and waiting another 30 minutes, the problem still persists, please contact our Support team.